Mounding plants produce luminous blooms from late spring through summer. We do a double-take looking at this new petunia star. Entrancing are the prismatic blue-pink-lavender hues. 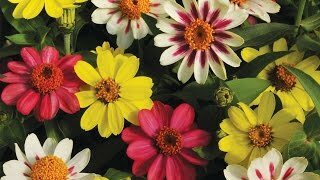 In the border, flower-mad 12-14” mounded plants produce a quiet riot of luminous look-at-me blooms from late spring through summer. Works colorful magic in baskets and containers, in color combos with petunias and verbenas. Plants benefit from occasional cut-backs. Petunia, Blink is rated 3.0 out of 5 by 2. 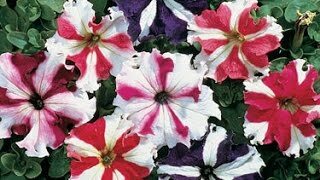 Rated 1 out of 5 by NanoL from Petunia seeds melt into a yellow goop I bought 3 packages of Petunia, Blink last year. They come in a tiny vial of 15 seeds, each slightly smaller than a mustard seed. I just tried planting them in a starter seed mix. As instructed, I put put the seeds on top of the moist soil. I gently press each seed into the soil with my finger. To my surprise, each seed immediately melts into a yellow goop. I don't think that is supposed to happen. I tried 2 out of 3 seed packets I purchased. The result is the same. Please advise. Am I going about it wrong? Rated 5 out of 5 by allyn61 from Prolific bloomer Grew these last year and nearly all germinated and I had them blooming under grow lights, very pretty lavender/pink. There color was the deepest in partial shade, nice mounding.